...Corey Valuck aka The Neverending Corey. Hope's fingers did have a hard time choosing the perfect piece of paper, but when they decided to stick, it was Corey's name that was pulled from the basket. So, congrats. 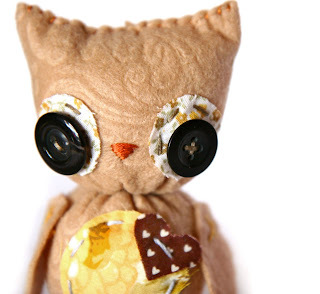 You're the proud new owner of a sweet, little owl. I'd like to thank all of you for making my first giveaway so pleasant. Check my blog in the months to come... I'm definitely doing another one. I love you all. Yayyyyyyy!!!! Thank you so much! This is super fantastic!